StarCraft Tech Manual by Insight Editions is a new book slated to launch to bookstores on June 2015. This book, based on the StarCraft universe, may be compared with Diablo III: Book of Cain in terms of content and motiff. It’s about time we see new books in development after the long hiatus since War Crimes. The StarCraft Tech Manual preview hints at new units never seen before, some even from StarCraft: Ghost. But what does that mean? About the Author: RICK BARBA is the author of several titles in the gaming genre, including StarCraft II: Heart of the Swarm Strategy Guide. StarCraft Tech Manual joins Diablo III: Book of Cain and Diablo III: Book of Tyrael in our best-selling series of Blizzard lore books. This unique book will take an in-world look at the StarCraft universe, with inserts lending the book an interactive element that fans will cherish. StarCraft is a genre-defining science fiction military strategy game that boasts legions of fans worldwide. The latest installment, StarCraft II: Heart of the Swarm, was the top-selling PC game of 2013. Additionally, the StarCraft series itself has sold more than 15 million copies. Will include units that have not been seen in the game and have only been introduced into the IP through the fiction or the StarCraft: Ghost game, which has been placed on indefinite hold. In addition to game assets, the book will feature epic original art comparable to our Diablo III books. Building on the success of Diablo III: Book of Cain and The Dark Knight Manual, this immersive book will be designed to function as an in-world artifact within the StarCraft universe. Fully illustrated, the book will be narrated from the perspective of Dominion and will reveal the secrets of all the tech and science in the StarCraft world, including information on Zerg and Protoss units. Complete with diagrams, classified field notes by Terran researchers, technical breakdowns, and more, the StarCraft Tech Manual will form the ultimate companion to the best-selling franchise. Sideshow Collectibles opened pre-orders for the Raynor Starcraft Sixth Scale Figure. The figure is slated to ship on February 2015*. There is a limited production of this figure, so grab it while you can. *Correction: Earlier I posted it was shipping now. The affiliate page said Q4 2014 (as shown in the image below), but the landing sale page says February 2015. Blizzard Global Licensing Jason Bischoff confirmed it ships February 2015. From the hit Blizzard Entertainment title, Starcraft II, Sideshow Collectibles is proud to introduce Jim Raynor -Terran Space Marine. Confederate marshal turned outlaw rebel, Jim Raynor does not back down from a fight. Equipped with technologically advanced armor and weaponry, the Raynor – Terran Space Marine was assembled from over 525 individually engineered components, making it one of Sideshow’s most ambitious Sixth Scale projects to date. The detailed armor features light up elements in the chest and engine vents, an impressive cache of weapons includes a C-14 Impaler Gauss rifle, a massive sniper rifle, and Jim’s signature revolver. This is my StarCraft Raynor Premium Zip-up Hoodie . There are many like it, but this one is mine. My hoodie is my best friend. It is my life. I must master it as I must master my life. 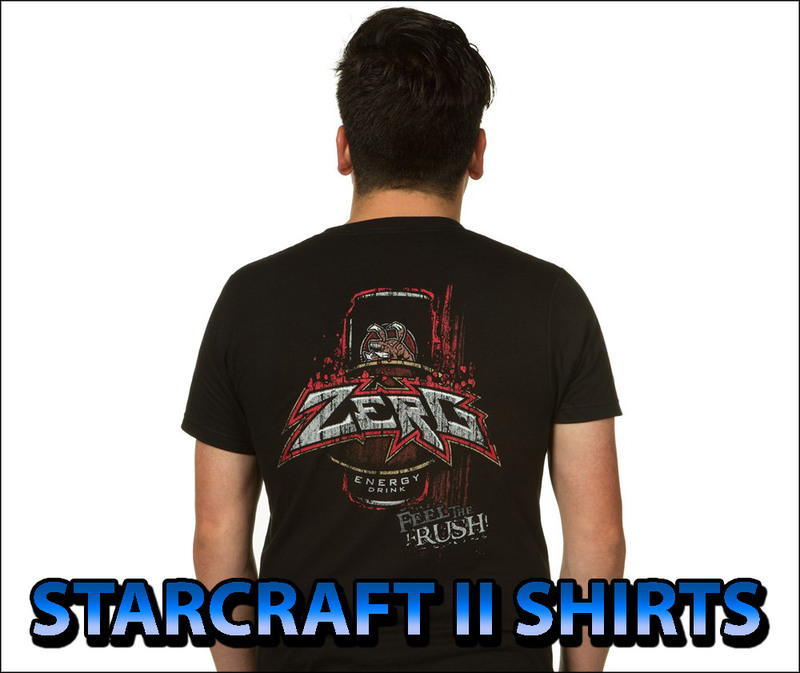 Get yours now to wear the colors of General Commander Jim Raynor. Now you can play StarCraft in real life with the all new Raynor hoodie! It may not help your APM, but who cares? You have space armor! 100% Polyester with ultra-soft interior. Jinx is preparing to announce a new Summer 2014 line-up, and needs to clear inventory space to accommodate them, for which Jinx has moved some Warcraft, StarCraft and Diablo products to the $14.99 category (33% off) with an additional savings of FREE shipping on orders above $35. The StarCraft Twitter was updated with awesome news for lore fans. Blizzard Entertainment is coming strong to the San Diego Comic Con this year. Blizzplanet staff member Naka (@dperschonok) will be there to take photos and video. The tweet hasn’t been yet posted on the Warcraft and Diablo Twitters, or anyone else at the moment of this report. It came out of the StarCraft Twitter. Considering Blizzard Entertainment exhibits at the San Diego Comic Con details about upcoming licensed products, we might be seeing some sort of StarCraft II: Legacy of the Void novel tie-in announced. Shortly after that, BlizzCon 2014 might have some really nice things in store. J!NX is celebrating 15 years of making game themed T-shirts, Hoodies and Jackets with a new promo code that allows you to get $15 off all orders over $45. We’d like to thank you all again for 15 great years! We look forward to at least 500 more years of serving you. That said, it’s time for one last birthday deal. Today and tomorrow only, get $15 off all orders over $45 when you use promo code J!NX15BDAYOVER during checkout. You heard that right. That’s pretty much 30% off everything. For two days only. Jinx stealthed its way into the store and added two brand-new StarCraft II hats. The Terran hat says “Lock and Loaded” in the back a bit above the snap-back area, and inside the hat by each of the seams. There is a Terran Marine artwork printed on the frontal hat’s duck-beakamajig. The Protoss hat says “My Life for Aiur” in the back and in the interior too. The front has the artwork of Zeratul. Follow the links to order them. Remember the Diablo III T-shirts are 20% off until March 31. Remember that list of Blizzard-Employee-Exclusive items I posted a few months ago which hit eBay? Today, I was contacted by the same ex-Blizzard StarCraft II QA Thompson, who alerted me of the new eBay listing. Now come the top items of his collection, folks. This new auction contains original StarCraft II: Wings of Liberty artwork signed by Blizzard artists: Glenn Rane, Brian Huang and Mr. Jack — and includes proof of authenticity. The ex-developer informed me he approached a reputable eBay lister to put these pieces of artwork in auction. Wowblizzness has a 100% Positive Feedback with a 886 score. During SC2 crunch, QA was expanded into the CS building. they moved the artwork from Blizzard HQ to decorate the Customer Service walls on the second floor where we worked. At the end of SC2, QA was moved back to main campus for Cataclysm and we had our private launch party. Part of the party was a raffle and auction. This consisted of some exclusive collectibles and the concept art that was raffled for appreciation of our 6 months of 12 hours a day 6 day a week work schedule. I won the Queen of Blades and Hydralisk art during the raffle. The Thor artwork was made specifically for SC2 QA it is not one-of-a-kind. There are about 70 of these Thor artwork that each person received. The other works are one-of-a-kind made to decorate Blizzard HQ. is on a durable heavy duty canvas board medium attached to a black backing. Lighter weight overall. Visit Brian Huang’s website — which contains this and many other StarCraft II concept art pieces. This auction ends on Feb 12, 2014 (21:30:58 PST). Thompson: Original Brian Huang StarCraft 2 Concept Art Hydralisk. ONE-OF-A-KIND Digital Print hung on wall in the room where StarCraft II was created. Included is picture of my employee plate and also the certificates that were given during the SC2 launch party I’m sure you can verify all this information if you know anyone who worked on SC2 before launch. is auctioned for $1.999.99. It is not a One-of-A-Kind as there are about 70 copies — but considering the millions of fans out there, this is still a rare find. The auction ends Feb 12, 2014 (21:16:32 PST). More of Mr. Jack’s concept art can be found at his CGHub page. Thompson: Mr. Jack (Luke Mancini) Limited print of a Thor and Vulture made for the StarCraft II QA team. ONLY 1-of-only-70 made!!! ORIGINAL SIGNATURE ON PRINT. is 22″ tall by 17″ wide by 1/4″ thick. It is UV coated so it will not fade. This concept art became the front cover of the novel titled StarCraft: Queen of Blades by author Aaron Rosenberg. This auction ends on Feb 12, 2014 (21:05:26 PST). Thompson: I have an ORIGINAL “MUSEUM QUALITY PIECE” PRINT up for sale. This work of art truly belongs in a museum. It was THE inspiration for this HUGE franchise. Hung over the heads of Blizzard employees as inspiration for the massive world they were creating!!! Many StarCraft II novels by Keith R.A. DeCandido, Christie Golden, Nate Kenyon, Tracy Hickman, Graham McNeil are available on Kindle for only $1.99.